The Kenneth Jay Lane exhibit at the Rhode Island School of Design Museum was one of its more ambitious exhibitions. 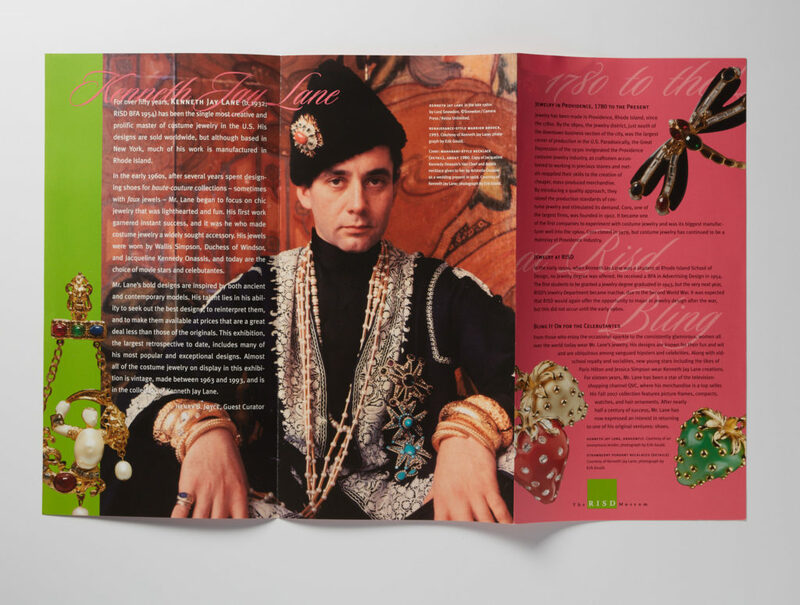 It featured a collage of Glamour magazines, tabloid covers and fashion spreads featuring Lane’s pieces along side the jewelry. 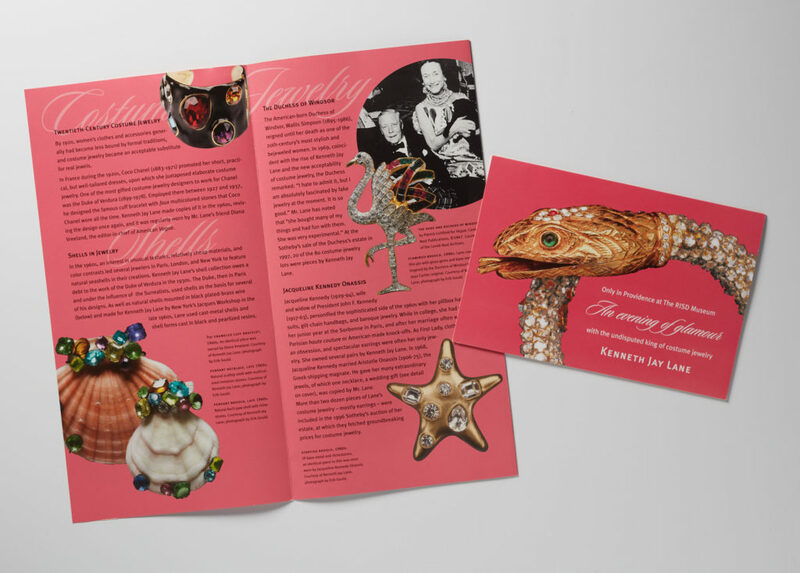 Kenneth Jay Lane RISD’54 designed costume jewelry for celebrities, first ladies and style icons – from Jacqueline Kennedy Onassis and Audrey Hepburn to Jessica Simpson. This exhibition was a retrospective to date of Lane’s work, featuring primarily pieces from 1963 to 1993 on loan from his personal collection. 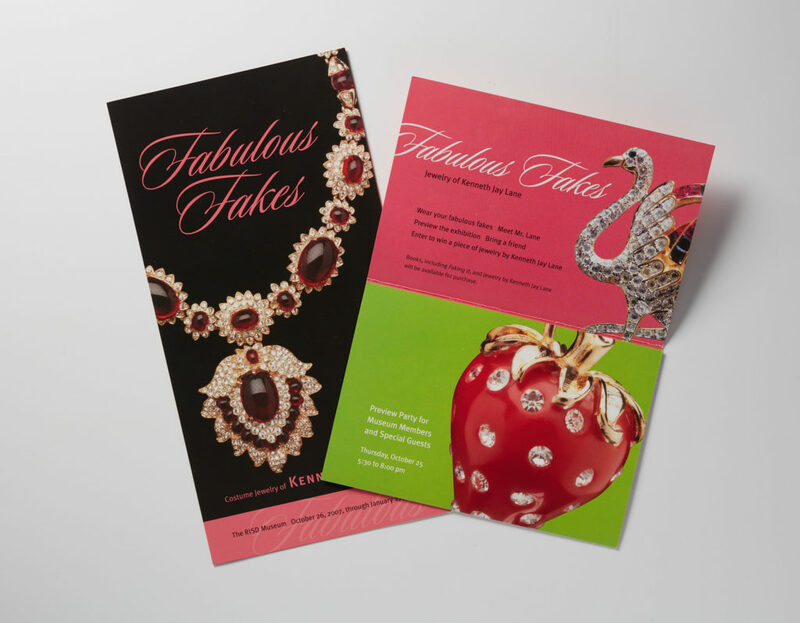 The invitation and the exhibit brochure were both inspired by the works of Kenneth Jay Lane.